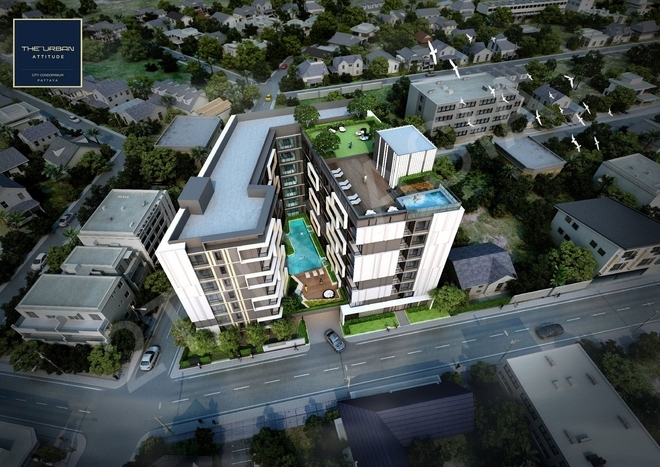 The Urban Attitude, the latest project by The Urban Property, is a modern and stylish urban low-rise condominium where style meets perfectly with location. This project redesigns urban living by creating an affordable yet luxurious property for individuals who wish to enjoy the vibrant city life. Given its sought-after location, top-notch amenities and reasonable price, The Urban Attitude is a premier property investment whether you are buying for yourself or seeking a property which you can rent out or re-sell. The Urban Attitude – A perfect balance between serenity and the vibrant life of urban living. Starting price is 1.49 million baht. Located right in the heart of Pattaya at Soi Chalermprakiat 18, Third Road, Central Pattaya, The Urban Attitude offers urbanites a convenient location close to shopping centers, hospitals, public service, and schools, yet just yards away from the beach.